Tuscany - Food, drink and culture. Tuscan cuisine is distinctive and has a well deserved international reputation. In the humble trattoria or osteria you'll find rustic home-cooked dishes, and in the ristoranti fine dining and traditional five-course menus. From 'field to plate' has become a bit of a cliché, but it's always been the way here and traditions originating in rural farming communities still hold firm. Café-bars are a cornerstone of Italian society, social hubs where locals drop by for a quick espresso standing at the bar and others, who prefer a more relaxed pace, linger to drink wine or aperitivi and eat ice-cream. Let's not forget the pizzeria too where southern Italian cuisine is given a strongly Tuscan twist. The olive and the grape figure big here and have shaped the classic Tuscan landscape: patchworks of vineyards and olive groves much in evidence. Many producers open their doors for tours and tastings, and if you come later in the season you might see the early grapes harvested. The Casentino with its dramatic forested hills & national park surrounds Tenuta Savorgnano. A natural base for walking, cycling or horse-riding and also home to Chiusi La Verna where the sanctuary of St Francis houses some fine ceramics by Della Robbia. 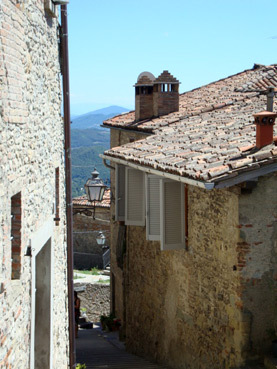 The nearest town is Anghiari where the historic centre of narrow streets, steps and tunnels is surrounded by ramparts overlooking the plain of the upper Tiber valley. Renowned as a centre for antique furniture restoration the town hosts an antique fair on the second Sunday of each month. Other events include a music festival in July and an annual craft market in late April. 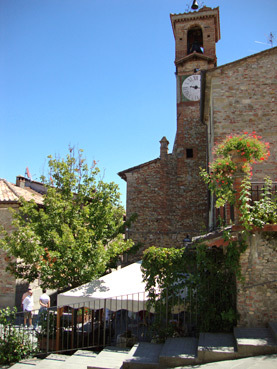 Anghiari has a number of restaurants and interesting shops including the Busatti shop selling the fine fabric still milled in the town. 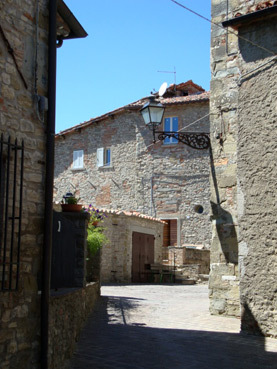 Across the valley lies Sansepolcro where the walled old town is home to Piero della Francesca's 'Resurrection' and a good selection of shops and restaurants. To the north lies Poppi – where the Castello dei Conti Guidi dominates the view over the valley – and Caprese Michelangelo – birthplace of Michelangelo Buonarroti and starting point for many walks. 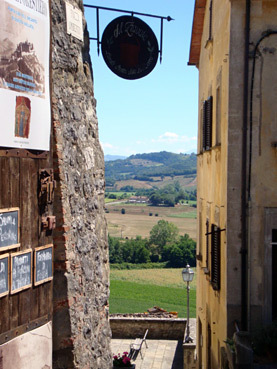 Also within easy reach are the picture-perfect hilltop villages of Monte Santa Maria Tiberina, Citerna and Monterchi - where the 'Madonna del Parto' draws visitors on the trail of della Francesca. 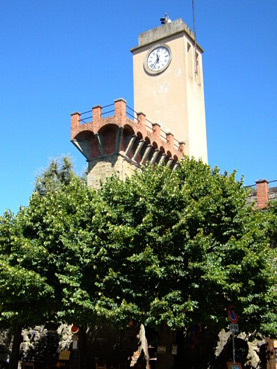 Arezzo is the principal town of the region. 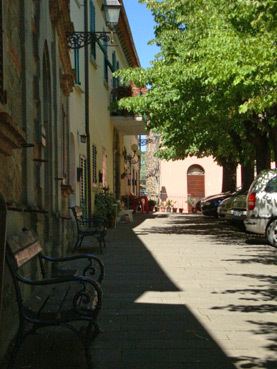 On the first weekend of every month the historic centre is the venue for the famous antiques fair, whilst on the 3rd Saturday in June and the 1st Sunday in September the Piazza Grande sees the Giostro del Saraceno medieval jousting tournament. Arezzo also hosts many music events throughout the year. With its central location near the Tuscany-Umbria border Tenuta Savorgnano is also a good base for exploring a little further afield. Florence, Siena, Assisi, Perugia, Cortona, Gubbio, Urbino, Orvieto, Lake Trasimeno and the Chianti region all make great days out. Even Rome can be reached in 1h 9mins from Arezzo on the Freccia Rossa fast train.